Under this objective, the COSME programme intends to co-fund project partnerships that will facilitate the increase of tourism flows during the low and medium seasons, targeting seniors (any person over 55 years old) and the youth (aged between 15 and 29). Under this objective, the COSME programme intends to co-fund project partnerships that will diversify the European tourism offer by supporting transnational tourism products in the fields of a) sport and/or wellness and b) cultural or industrial heritage. Under this objective, the COSME programme intends to co-fund project partnerships that will maintain and expand the "Tourism for All" principle of the EU treaties, by providing accessible tourism services for tourists with special access needs. Applicants may be partners in more than one project proposal per theme, but may act as project coordinator in only one submitted proposal per theme. Should an applicant act as project coordinator in more than one proposal per theme, all proposals within the same theme submitted by the same coordinator will be excluded. 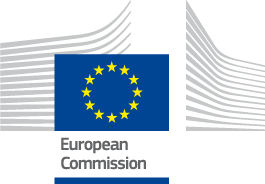 The deadline for electronic submission is 30 June 2015 17.00 hours (Brussels time). For more info on the call, please click here.